What do I need to do to start playing? Simply unbox your product, plug in your USB Gaming controllers, HDMI and lastly power cord and you are ready to GET YOUR GAME ON! That Simple! If the device does not power on instantly after inserting power cord, be sure to hit the little button on the USB Power cord to turn on! System takes about 20 seconds to fully load. Let it go through its cycling process. System takes about 20 seconds to fully load. Let it go through its cycling process. When the Main screen loads with Consoles and games it’s time to Pay!! Scroll left or right to go through the available consoles. Press A and select a game! How Do I shut the system off? If you are in the main menu, hit the start button, scroll down to Quit and hit A. Give is a few seconds and the system will shut down. To power back on simply hit the Button on the power cord twice. How Do I back out of a Game I Selected and no longer want to play? Simply hit the SELECT and START Buttons at the same time. This will back you out of any game currently selected. How do I add a Game I like to my favorites menu for quick access? When you are in the console of your choice and scrolled to your favorite game – hit the ‘Y’ Button to add this game to your Favorite menu. If you want to delete a game from your favorites menu, simply hit the ‘Y’ button again while on the selected game to remove. To access you Favorites menu, go to the main menu and scroll until you see Favorites. Select this option and your games will be loaded here that you selected. There are so many Games!!! How do I scroll get to the game I want to play much quicker? We got you covered; we programmed a few options into the console to help you find that Retro game you want much faster. While scroll through the games, simple hold DOWN or UP on your control pad for 6 Seconds and it will start scrolling through an alphabetized list versus each individual game. Want even Faster? Simply hit the SELECT Button on the controller while in the massive game list. This will bring up a menu option, select the option ‘JUMP TO LETTER’, use the RIGHT and LEFT on the direction pad to select the first letter of your desired game and press A, this will take you to the first game beginning with that letter which sound expedite your search. How Do I save my Game Progress before shutting down or switching to new game? When you are at the point in the game you want to Save, simply hit the SELECT and RIGHT BUMPER at the same time. 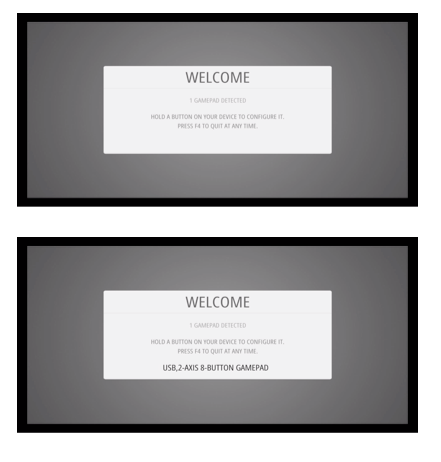 You will see a very quick flash at the bottom left hand of the screen stating the game has been saved to a specific slot number. How Do I continue progress from a game I saved? First Load and start the game you wish to continue a saved game from. Once the game starts, hit SELECT and X at the same time. Press A on the ‘QUICK MENU’ option. Scroll down to ‘LOAD STATE’ and Press A to continue from where you left off. How Do I connect to my Wi-Fi Router? On the main menu page, keep scrolling past your gaming consoles to the RetroPie option. Hit A on your controller to display the RetroPie Menu. Scroll down to Wi-Fi at the bottom and hit A on your controller. Scroll to the ‘Connect to WIFI Network’ Option and enter your Wi-Fi settings. (A USB Keyboard will come in handy here to input information quickly and correctly). Once completed hit OK and Exit. How Do I get to Kodi? On first boot this menu in EmulationStation will configure your controls for both Emulationstation and RetroArch Emulators: If the system does not detect your new USB Controller, simply hit the START button and select CONFIGURE INPUT. You should now see a screen similar to the one below. 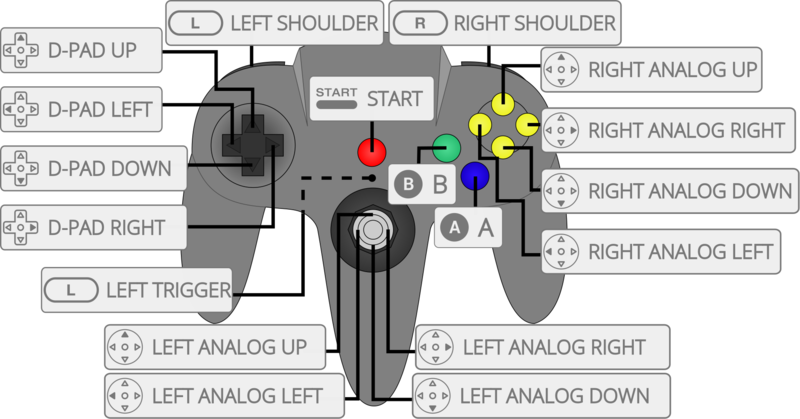 SIMPLY HOLD A on the New controller to start configuring. 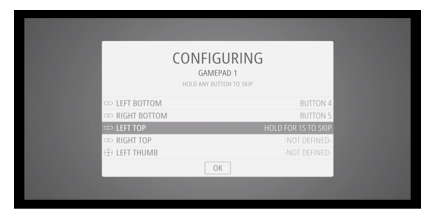 Follow the onscreen instructions to configure your gamepad- if you run out of buttons just hold down a button to skip each unused button. When you get to OK press the button you have configured as “A”. Click the video below to learn how to add ROM!